Written by: Different Roads to Learning on February 6, 2015.on February 5, 2015. 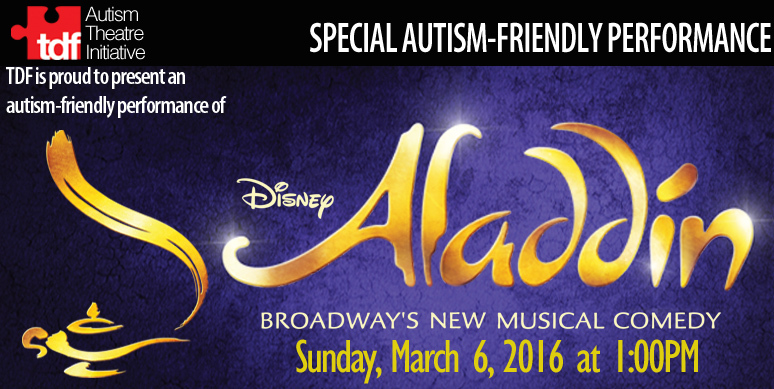 This entry was posted in autism, Autism Awareness, autistic spectrum disorder, Community Programs, Conferences and Events and tagged Aladdin, autism, Autism Awareness, Autism Theatre Initiative, autism-friendly musicals, autism-friendly performances, autistic spectrum disorder, family events, Resources, Theatre Development Fund by Different Roads to Learning. Bookmark the permalink.